Kuzco narrates the story about Kronk, chef of Mudka’s Meat Hut, is agonizing when he notices the imminent visit of his father. His father disapproved the culinary interests of Kronk and wished that instead would have a wife and a house on a hill, like the rest of the people. 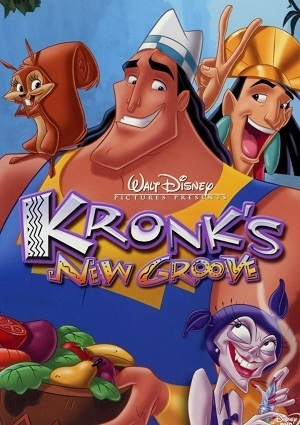 Kronk narrates how he almost succeeds in his father’s dream. As unknowing assistant of Yzma, he goes with the villain planning to sell drain water as a youth potion. Both makes money, enough to buy a home from the old folks and put his home there. Eventually Yzma is exposed and the folks chase her down at a bridge over the river, also with a big amount of crocodiles.